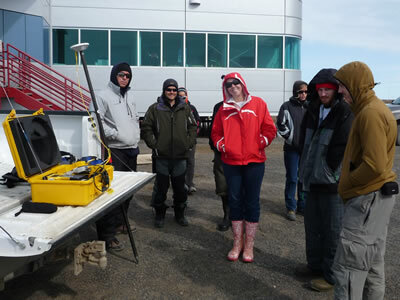 UNAVCO paid a visit to the Barrow Arctic Science Consortium (BASC) facility in June of 2009 to perform maintenance and review a detailed inventory of the GPS equipment on loan to BASC. This annual visit also provided an opportunity to train researchers from UTEP and San Diego State University in the use UNAVCO gear at the facility. By agreement, the BASC science support staff manages the use of the equipment as well as providing a basic level of training to visiting scientists on how to use the DGPS system. UNAVCO also provides more in depth training at its facility in Boulder. The Barrow site is currently equipped with a NetRS base station combined with an RTK transmitter, two rover units comprised of an R7 and an R8 all-in-one receiver/antenna unit, plus a variety of field gear, including TSC2 survey controllers, backpacks, range poles, bipods, and tripods. The broadcasted RTK corrections can be extended further using a fixed repeater located near the end of the local study site. Time was taken to update user documentation and to answer questions from the BASC support staff. Most of the gear was in order, although the fixed RTK repeater required repair. Figure 1 - Training in RTK and PPK techniques given to researchers from the University of Texas, El Paso and San Diego State University. 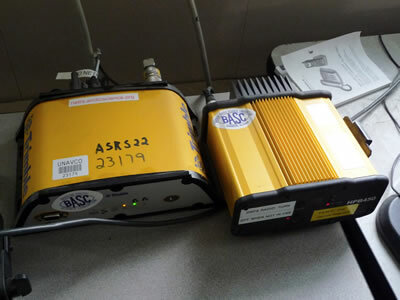 Figure 2 - Barrow BASC base receiver and RTK transmitter.